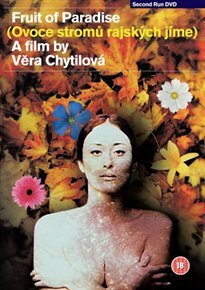 Vera Chytilová co-writes and directs this Czech experimental drama retelling the story of Adam and Eve. After a depiction of the Earth’s creation, married couple Eva (Jitka Novákova) and Josef (Karel Novak) are enjoying an idyllic retreat in a health resort. But their short-lived peace is shattered when Eva begins to be stalked by a fellow visitor named Robert (Jan Schmid), who she supects is a serial killer targeting the resort’s female residents. Following a fight with Josef, Eva becomes involved in a violent chase through a forest with her stalker, but can he offer her the truth she so desires?